What does a Class 101 College Planning Franchise Franchise Cost? Class 101 college planning franchise is a low-investment franchise with great potential. There are not many franchise opportunities you can purchase for less than $45,000. The initial franchise fee starts at $29,900 and includes marketing materials, curriculum, detailed operations manual and high school manual, DropBox access to all curriculum and other materials developed over nearly two decades, access to informative Class 101 podcasts and training videos. Provide Crucial College Choice Services with a Class 101 Franchise. As a Class 101 franchise owner, you provide a local connection and friendly face for the Class 101 service to high school students and their parents in your area. Enjoy flexible hours with minimal set-up and ongoing expenses. Open Class 101 College Planning Franchise in any of these available states: AL, AK, AZ, AR, CO, CT, DE, FL, GA, ID, IA, KS, KY, LA, ME, MA, MS, MO, MT, NE, NV, NH, NJ, NM, NC, OH, OK, OR, PA, SC, TN, TX, UT, VT, WV, WY, DC. For more than 18 years, our mission has been to provide families with expert guidance in the college search, admissions and financial aid process. Our goal is to see our students achieve theirs. Class 101 has helped over 3,000 students. Our students’ average ACT scores increase by 3.1 points with Class 101 assistance. Thousands of scholarships have been awarded through Class 101 facilitation. In our financial aid workshops, Class 101 staff has helped parents complete over 1,200 financial aid forms. Class 101 provides much-needed personalized college planning services. 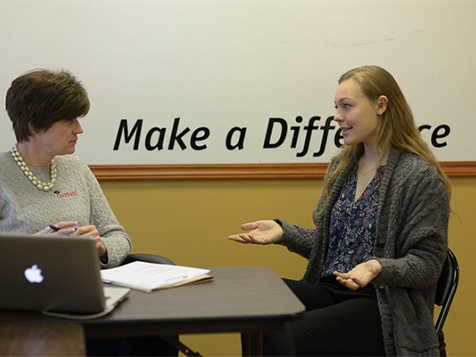 Through one-on-one college planning sessions, we help prepare the high school student to take ACT and SAT tests, improve GPA, build a list of schools that are a good fit, write a powerful essay, complete applications and navigate the scholarship and financial aid processes. Students that go through the Class 101 program have some dramatic results: the average American high school student applies to two or three schools and receives about $20,000 in scholarships and aid. Class 101 students apply to an average of 10 schools and receive more than $200,000 in scholarships and aid! Our students also tend to stay in school. 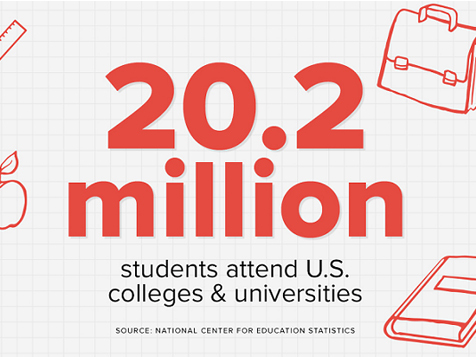 The dropout rate for incoming college freshmen is high — as many as one in three first-year students never make it to their sophomore year. The dropout rate for Class 101 students is less than 1% — far below the national average! Get in on the ground floor of Class 101's rapid expansion. Class 101 is positioned to become the college planning service of choice and is rapidly expanding with opportunities nationwide. If you are passionate about helping young people and have experience in education or working with youth, then Class 101 may be the perfect fit for you. If you want to empower high school students and help them find the perfect colleges, owning a Class 101 franchise is a great way to establish a strong sense of pride and purpose while helping students and their families save time and money. We've been growing for the past decade and we have plans to open 100 additional locations by 2020, and we welcome the opportunity to speak with potential owners about bringing this unique and valuable service to their community.